To travel to Italy is not merely to enjoy gourmet meals, see beautiful sights, and soak up the Tuscan sun. To study abroad is not merely to take a class in a different country. To be a part of a sorority is not merely to have a nice group of girlfriends. 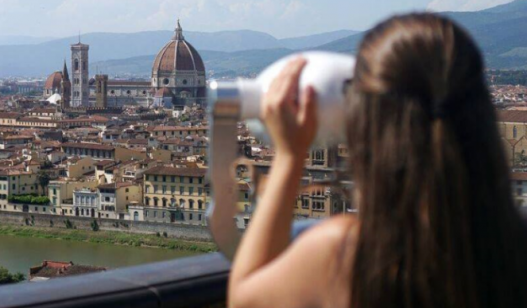 To travel to Italy is to experience a culture unlike anything you have ever known. You aren’t just eating; for the first time, you are trying pasta that was handmade only minutes before it enters your mouth. You aren’t just drinking; you are tasting wine from grapes that were grown, fermented, and bottled only miles away. You aren’t just sightseeing; you are standing in the shadows of hundred-year old towers and praying in the same churches where great Renaissance thinkers have been laid to rest. This is more than a vacation. To study abroad is to immerse yourself so deeply in the Italian culture that it becomes a permanent part of your identity. You aren’t just learning a new language; you are struggling to understand the people around you as they speak elegant Italian. You aren’t just visiting; you’re living in here and trying to make sense of a way of life that is so incredibly different from everything you’ve ever known. You aren’t sitting in a classroom reading about Machiavelli, Galileo, and Dante; you are standing in front of Galileo’s tomb in Santa Croce, you are staring up at Dante’s home on via Santa Margherita. This is more than a class. To be a part of a sorority is to fully commit yourself to a sisterhood. You aren’t a gaggle of girls; you are an assembly of women bound by ritual and rooted in history. You aren’t a part of this for the parties; you are a part of this for the joyous celebrations of friendship. You aren’t here to gossip and chat; you are here to empower, uplift, and support one another. You aren’t just friends; you are sisters. This is more than a group of girls. When you combine travel, study, and sisterhood, don’t be surprised when you find yourself in the most powerful six weeks of your life. Don’t be surprised when you fall in love with a city so deeply that you feel you must have lived there in another life. Don’t be surprised when you wake up before your alarm because you are truly excited to go to class in the morning. Don’t be surprised at how quickly and deeply you form bonds with the women around you. Don’t be surprised when, only weeks after you’ve left, you find yourself trying to think of ways to return to Italy with your sisters and recreate a perfect summer.